Finding a way to beat August heat is one thing. Finding a spot to cool off, hang out with friends and enjoy an inexpensive sweet treat is a bit more difficult. That is, until now. 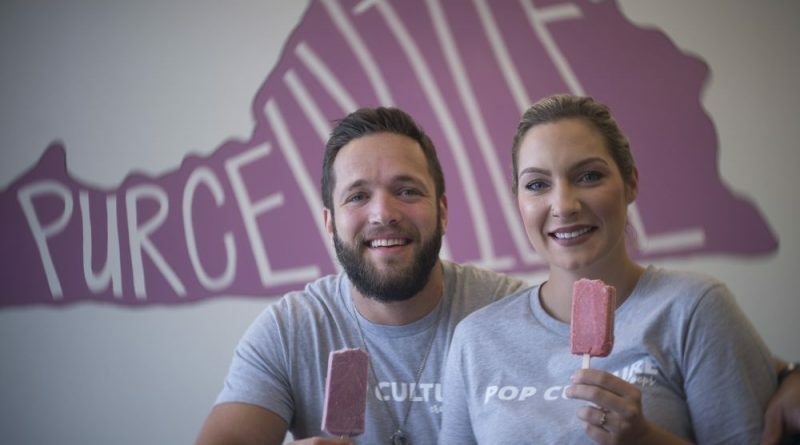 Joel Rogozinski, 33, and Holly Bagwell, 29, this month opened Pop Culture Craft Pops in The Shoppes at Main & Maple in Purcellville and are selling multiple flavors of popsicles to a thoroughly heat-exhausted community. Although their objective to open the pop shop became a reality earlier this year, Bagwell’s plans for the business have been in the making for five years now. It was in 2013 that she and her daughter, now 10-year-old Kinley, hatched the idea to open a popsicle shop after frequenting Steel City Pops when they lived in Birmingham, AL. Bagwell said the business idea developed from their own twist on paletas—Mexico’s version of popsicles. “We kind of do our take on it—we have our own creative eye,” she said. The business finally gained some traction when she started dating and discussing the idea with Rogozinski last year. With Bagwell’s creativity and Rogozinski’s business background, the two created a mobile popsicle stand in April, selling pops out of a converted landscaping trailer at any community events they could find. “We just went everywhere we could,” Rogozinski said. After realizing how well they were doing, the couple decided to move into a permanent location to sell their frozen treats. 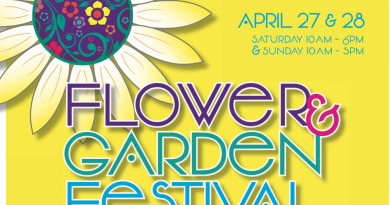 Although they live in Fairfax County, they knew right away that Loudoun was the best place to be, with dozens of friends pointing them toward Purcellville. Bagwell, a.k.a. Miss Mix-a-Lot, hand-makes the popsicles at ChefScape, a co-working kitchen in Ashburn, using fresh fruit, raw cane sugar, water and a special popsicle maker. Once the 50-minute freezing process is complete, the popsicles are transported to the shop and ready to be sold. Currently, Pop Culture offers icy pop flavors including basil lemonade, blackberry lemonade, pineapple jalapeño, strawberry balsamic, watermelon mojito and watermelon kiwi. Creamy pop flavors include birthday cake, buttermilk, strawberries and cream, cookies and cream, coffee and Oreo, honey almond butter banana and Piña Colada. The couple also welcomes new flavor suggestions. All popsicles are sold for $3.95 a piece, with Cascade Beverage Co.’s nitro coffee also for sale at $4.95 per cup. “We wanted to make it as easy and comfortable as we could,” Rogozinski said. As for competition, Pop Culture has little to none. The closest pop shop is Pleasant Pops in Washington, DC, and King of Pops in Richmond. Aside from that, Rogozinski said there’s only about five similar operations in the nation, most of which are in the southeast. In addition to selling popsicles to satisfy the whole family, the couple’s motive to open the shop was to do more than just give the community a tasty treat—they also wanted to give residents of all ages, not only those of legal drinking age, a place to meet up and have some fun. To do this, they’ve focused on making Pop Culture a place where kids, teens and adults of all ages can not only stop in for a popsicle, but also play board games or work on puzzles and let their kids jump rope or draw on the sidewalk with chalk. It’s all in line with their ultimate goal to build a culture, rather than just push a product. Kinley and Rogozinski’s 6-year-old daughter, Sophia, are also helping the couple out by taste-testing popsicles and providing input on store designs and flavors. Rogozinski said that’s a great way for the girls to get involved and understand what it takes to build a business. 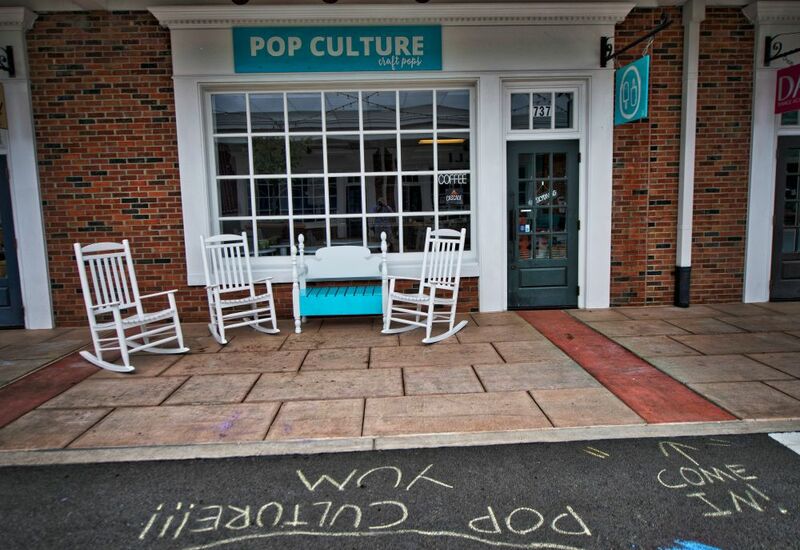 Pop Culture is now open from 11 a.m. to 8 p.m. Sunday-Thursday and from 10 a.m. to 9 p.m. Friday-Saturday. The couple hopes to open another shop by next spring. Bagwell said they’re currently scouting locations across Loudoun, in Fredericksburg and in Frederick, MD. “We definitely want to have a fleet of these,” she said.